Silver Arrow Knits! : I Have an Apartment! 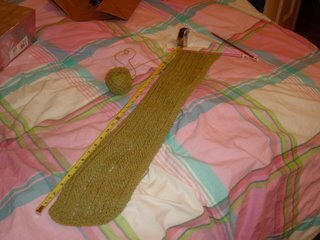 In knitting news, my green lacey slanty scarf is over two feet long and the ball of yarn is shrinking! Check it out! 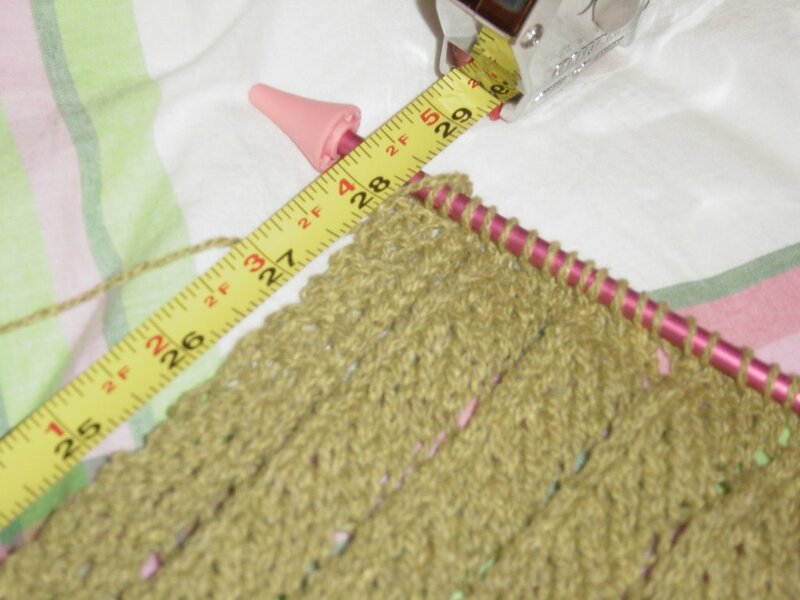 I am sort of embarrassed to say that the majority of this knitting happened at work. I recruit for a clinical research study and I spend the majority of my time sitting in a doctor's waiting room hoping that her patients will come in and I can screen them for the study. I used to read, but if I was tired, it was hard to concentrate on the words. With the knitting, I can keep going and the movement keeps me awake.